60 million years ago in the 3rd geological period, the Toros mountain range was birthed, while pressure from the Anatolian plateau gave rise to highly active volcanoes that vomited and spewed lava across the region. The accumulated ashes formed a soft tuff (volcanic rock) layer, which was then partially covered by a thin layer of lava. Formed by basalt, this abraded and cracked over time and penetrated the soft tuff, causing a distinctive abrasion. With the additional effects of heating, cooling, and winds, cones with ‘hats’ molded from the basalt rocks began to form (and continue to do so today). The name “fairy chimney” was later bestowed on these formations by the early settlers who used them as homes. Meanwhile, the tuff layers that did not have a basalt blanket turned, thanks to erosion over time, into valleys. Humans weren’t the first “settlers.” In the Persian language, Cappadocia means “land of beautiful horses,” for which the region is still well known. As regards humans, Cappadocia was originally established by settlements some 9–10,000 years ago, but written history begins with the Hittites. Much later, it was an important center for budding Christianity, as evidenced from the engraved stone houses and churches. Indeed, it was somewhat of a sanctuary for early Christians. 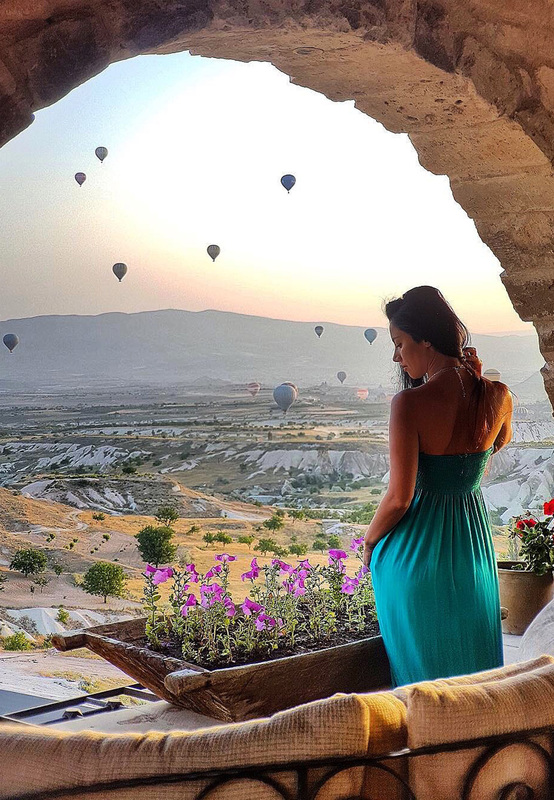 Throughout its history, Cappadocia has been a center for trading colonies, acting as a trade and social bridge between countries, for example as an important point along the old Silk Road. 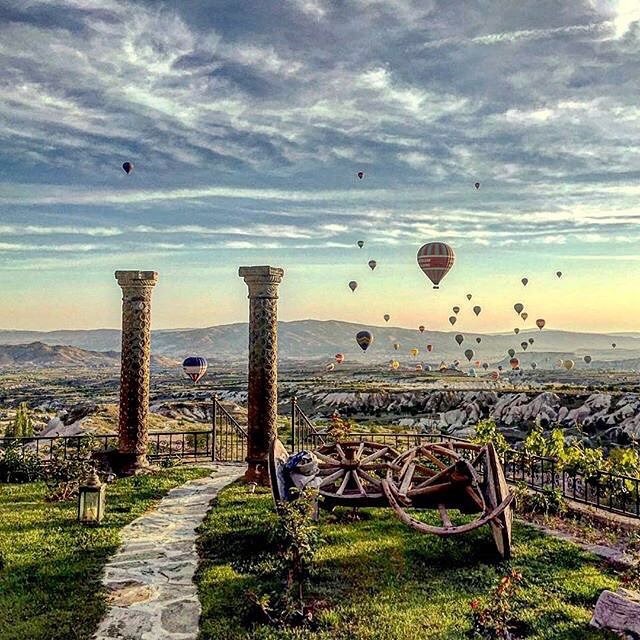 Nature, history, and art have integrated beautifully in Cappadocia. The geography of the area formed the distinctive fairy chimneys, and over the course of time people created houses and churches out of these, decorating them with frescoes that today allow visitors glimpses of the remains of distant civilizations. Indeed, these carvings and frescoes by the first Christians, together with their refuge of underground cities, showcase the harmony of humans and nature. Göreme Open Air Museum was announced as a world heritage site by UNESCO. 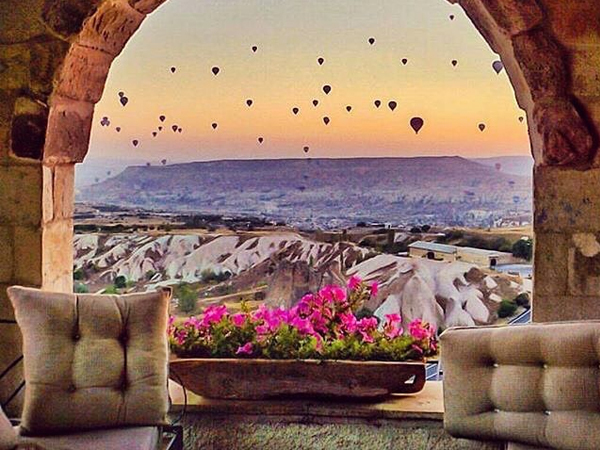 The largest number of stone churches decorated with frescos is found in Cappadocia. 3 of the founders of the Christian Church, St. Basil, St. Gregory from Nazianus, and St. Gregory from Nyssa were from Cappadocia. 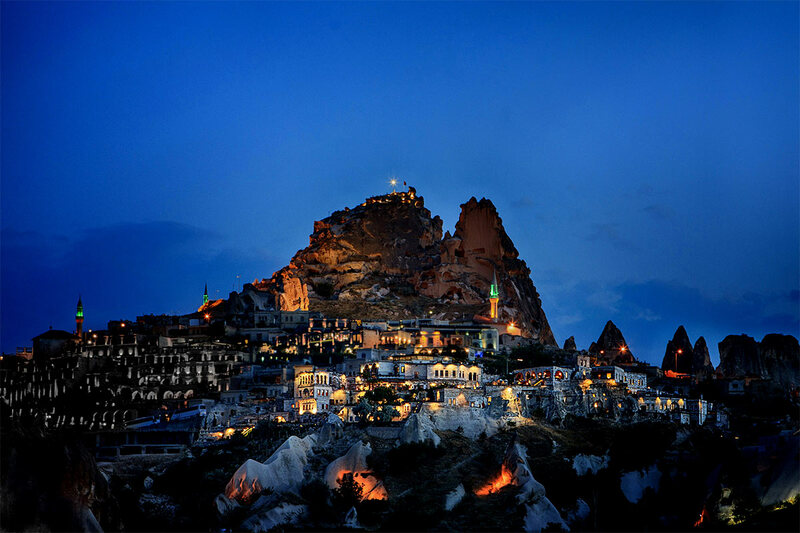 Cappadocia’s underground cities, of which there are 30 known, provided refuge for 100,000 people. Cappadocia is a unique cultural, religious, and natural tourism area and a UNESCO world heritage site. Uçhisar Castle is positioned on the highest geographical point in Cappadocia, commanding impressive views of the whole area. 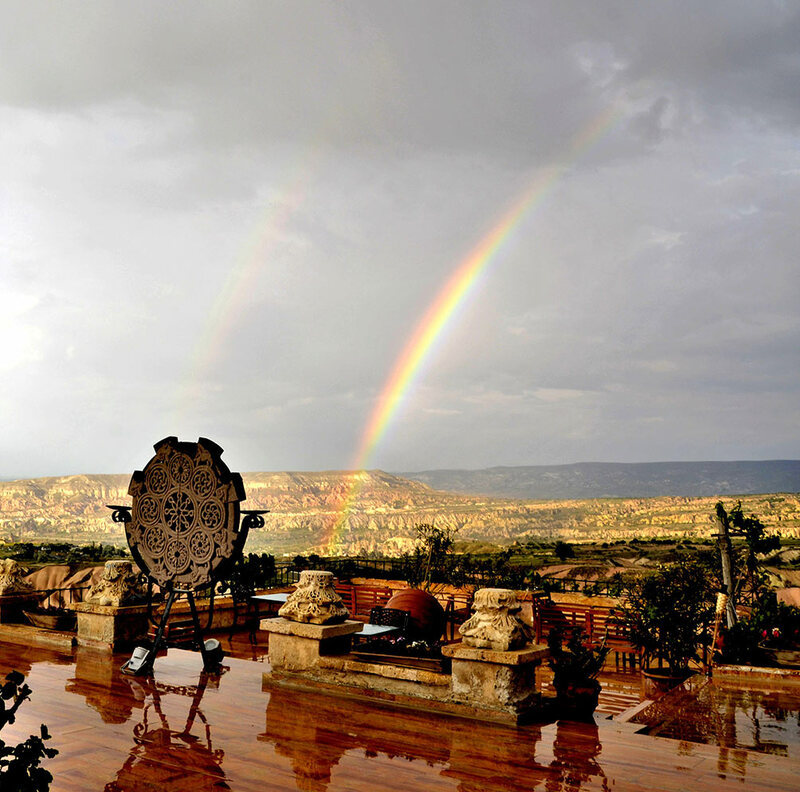 As a result, we nestled Museum Hotel into the slopes below the castle to give simply majestic views of the area. Restored from thousand-year-old caves and dwellings, the majority of rooms and communal areas in our unique hotel feature a bird’s eye view of the area. 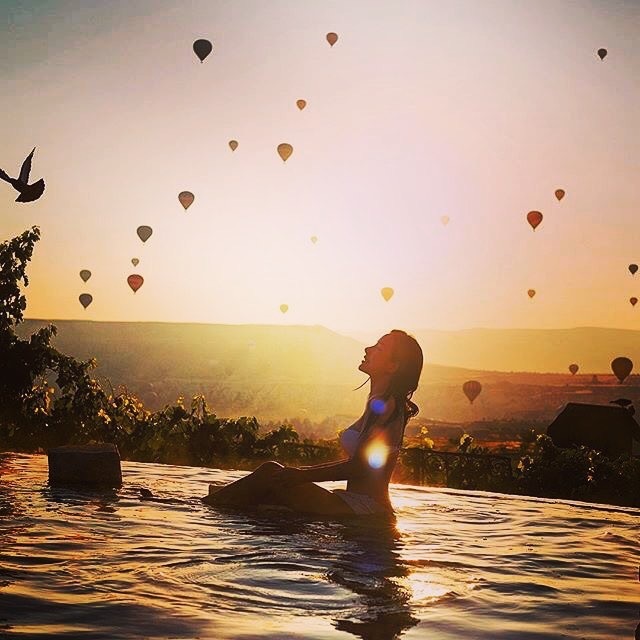 Unlike other hotels in the region, Museum Hotel’s singular positioning on the slopes below the castle means that our Lil’a restaurant, the terraces, bar, and our fabulous Roman pool all have amazing views of Cappadocia. 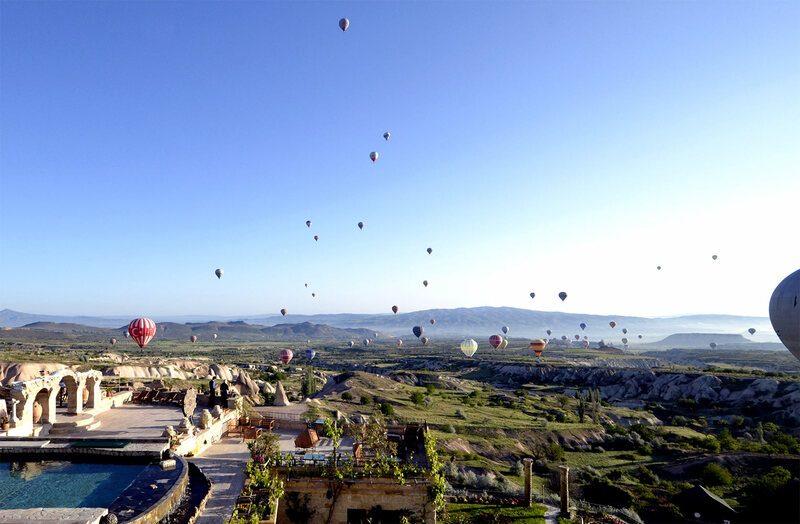 Another benefit of our fantastic location is that each morning around 100 beautifully colored hot air balloons fly over and close by, which affords Museum Hotel one of the best places to watch this daily breathtaking experience. A further benefit of our ideal position, even, is that guests are able to view both sunrise andsunset thanks to the 270° angle of our site. Only Museum Hotel at this special Uçhisar site is able to offer all these benefits.